The Smugglers Inn - Guesthouse, Bar and Restaurant - was originally a 180 year old farmhouse restored by the Hunt Family in 1980. 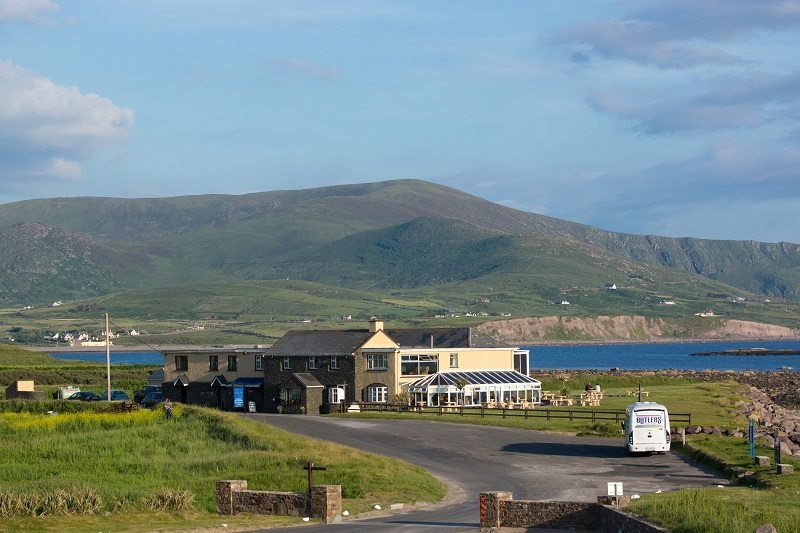 Situated on the Ring of Kerry and Wild Atlantic Way, we can be found nestled by a long sandy beach overlooking the Atlantic Ocean and Waterville Golf Links - a haven for golfers, fishermen, walkers and anyone who enjoys fine scenery. Well known for our warm hospitality and comfortable en suite bedrooms - all complete with wifi, TV, hairdryers, tea/coffee facilities and breathtaking sea/mountain views. The award winning gourmet restaurant is world famous for its fresh fish and local meat dishes with dishes prepared by Chef/Proprietor Henry Hunt. Specialities include Shellfish Medley, Black Sole & Kerry Lamb. Serving A La Carte, Bar Food, Early Bird, Vegetarian & Children's Menus.